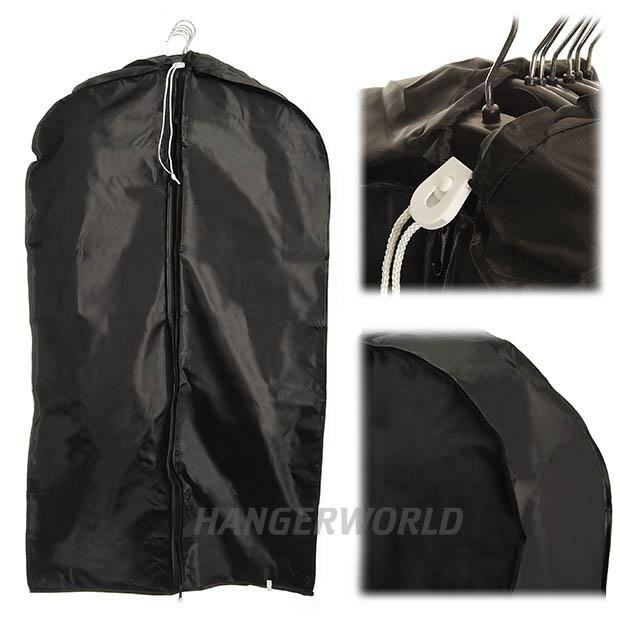 Extra wide side gussets allow multiple garments to be transported and stored protected together. Also perfect for bulkier garments. Ideal length for longer garments, ball gowns, wedding dresses etc. Non odour, strong, wipe-clean- soft feel nylon material. Top slit for hanger hook(s) with draw string fastener. Quality front zip, shaped shoulders and double stitched seams.